Artist Name: Isaac Blackman Birth Name: Isaac Benjamin Blackman Birth Place and Date: November 26, 1982, San Fernando, Trinidad, W.I. Official Bio Born and bred in the twin-island republic of Trinidad and Tobago, Isaac grew up in Trini's first family of music and is a "Trini to de bone." Needless to say, he "Loves his country bad." Given this musical heritage, Isaac, "Benji I" or "Mr. Benji," as he is known by his industry peers, started early in the music business. The youngest of 23 musical prodigies, Isaac was raised in the jungle of Piparo, Trinidad. Birth Place and Date: November 26, 1982, San Fernando, Trinidad, W.I. Born and bred in the twin-island republic of Trinidad and Tobago, Isaac grew up in Trini's first family of music and is a "Trini to de bone." Needless to say, he "Loves his country bad." Given this musical heritage, Isaac, "Benji I" or "Mr. Benji," as he is known by his industry peers, started early in the music business. 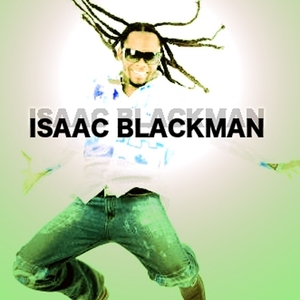 The youngest of 23 musical prodigies, Isaac was raised in the jungle of Piparo, Trinidad. He was always fascinated with drums, and ever since he was six years old and could reach the kick drum pedal, Isaac has been throwing down the most original, yet loosely syncopated beats. Shortly after learning to play drums, he spent the rest of his youthful days touring with his father's family band "The Love Circle." Growing up in a music-rich environment, Isaac was soon drawn to producing music of his own. In his youth, he also attended many of his father's recording sessions and learned different techniques from various producers. Isaac further expanded his music studies to include other instruments such as percussion, guitar and bass. Shortly before his father passed away, he recorded his first solo track "Glorify," backed by The Love Circle. Since then, he has performed as drummer, guitarist and background vocalist for numerous other artists. You may have heard his signature voice on Christafari's "Lion of Zion" and "My Sustenance" (Gravity), The Love Circle's "Homegrown" effort and on the "Raggamuffin Hip Hop 2" and "Gathering" Compilations. "In Your Eyes," the debut solo album from vocalist, producer and multi-instrumentalist Isaac Blackman, is a lyrically and musically potent introduction to an already familiar voice. As the youngest member of the Love Circle, Isaac now offers his own unique twist on the group's trademark jamoo sound. He once told me that the greatest lesson he learned from his father, soca inventor Ras Shorty I, was one of faith. It took a lot of faith to see this album come to fruition. This Caribbean recording is a labor of love, packed with originally syncopated, yet loosely played live beats and tight programming. It is a wall of sound, with brash calypso guitars, heavy bass, rich vocal textures and lush harmonies that are drenched in reverb. The majority of this project was recorded at Isaac's own Jamoo Recording Studio in Tunapuna, Trinidad, W.I. and the rest was done alongside Sherwin Gardner at "God's House of Flows." As a studio musician, engineer, producer and songwriter, Isaac used the tremendous experience gained from working in the past with artists such as Ras Shorty I, Sheldon Blackman and the Love Circle, Mark Mohr, Sean Daniel, Ceon Dindial, Koen Duncan and Johnny Bachew to help make this album what it is. Since becoming the front man for the Love Circle in spring of 2004, Isaac has been on a relentless schedule of recording and performing his own unique brand of jamoo. This album is the fruit of his sleepless nights and a lifetime of songwriting. Whether he is singing soca, reggae, hip hop, or calypso, every one of Isaac's tunes and collaborations has their own unique signature-- His recordings are 100% Jamoo (Jehovah's Music) at its best!